The World Cup is less than 5 months away. The participating teams are at different stages of experimenting various permutations and combinations to arrive at the most balanced squad before the World Cup. While most of the teams have identified the core of the team, the search is still on for the remaining spots. India is no different to this trend. One can safely say that about 10 Indian players are almost assured of a place in the World Cup squad barring last minute injuries. However, there are still some spots up for grabs. The Indians are scheduled to play a total of 10 ODIs before the World Cup, 5 against New Zealand in New Zealand and 5 against Australia at home. While the series against Australia at home would be more or less practice games just before the World Cup with the complete likely squad, the current series of 5 ODIs against the Kiwis assumes paramount importance for a few players to impress upon the selectors and the team management one last time. We look at such seven players who are fighting for a place in the World Cup squad with the bifurcation of 3 players who are in with an outside chance and 4 players who are in with a real chance. Shubman Gill would not have got his opportunity so early but for KL Rahul’s moment of brain fade. The injuries to Prithvi Shaw and Mayank Agarwal has hastened Shubman Gill’s entry into the Indian squad. But after his stupendous performances in the under 19 level and for India A team, Gill certainly deserves a place in the senior team. In fact, the selectors are looking at him both as a reserve opener and as a reserve middle-order batsman. In India A’s tour of New Zealand in December’18, Gill made scores of 25, 37 and 62. He followed that up with Ranji scores of 268, 148, 69 not out and 91 representing Punjab. Gill is the man in form and an exciting young prospect. But it remains to be seen whether he will get his chance in the New Zealand series. It is highly unlikely that he will be in the team for the first 3 ODIs. 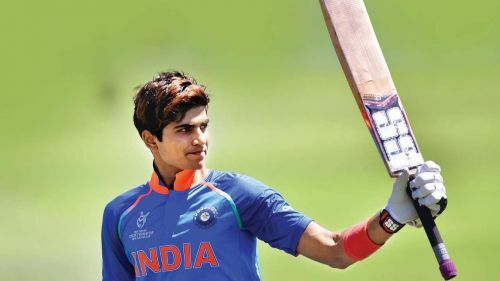 Shubman Gill would try to impress upon the selectors in the limited opportunity he might get in the New Zealand series. 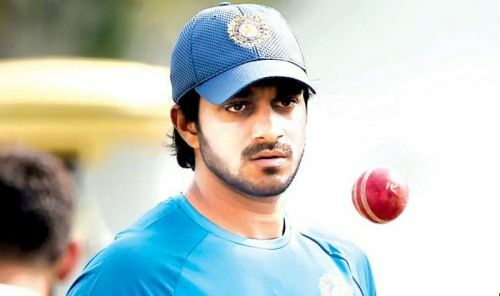 But he is certainly an exciting prospect for Team India in the long run.